There was some big hype coming out of Las Vegas this summer with the Mets finally having some position players to talk about. 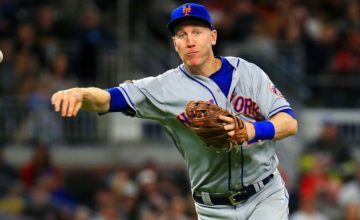 First, there was Amed Rosario, who everyone had pegged the shortstop of the future, and then, there was Dominic Smith, known as a good-contact hitter and above-average defense first baseman who could anchor the fort at first. When the dynamic duo got the call, I was excited, and I made sure to temper my expectations. 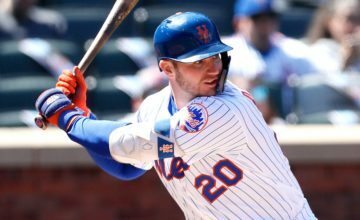 Las Vegas, where the Mets’ Triple-A team resides and where you can find betting odds for the MLB games, is notorious for being a hitters’ haven, so offensive numbers should be taken with a grain for salt. 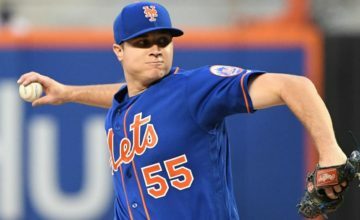 For example, we knew that Matt Reynolds and Brandon Nimmo were not .340 hitters, although they can be both useful as backups at the Major League level. So with Rosario and Smith raking at Triple-A, we had to be realistic. For Rosario, I have been impressed with his range, although he still has some areas of improvement defensively. His speed is undeniable, and he has offensive skills. He can use some more patience at the plate, and improving his discipline will be at the top of his to-do list this winter. Overall though, I like what he’s made of and I am happy to give him the shortstop job from the onset next season. With Smith, I am not so sure. We heard about what a defensive wizard he is, but I wasn’t overly impressed with him at first down the stretch. To say that he was a big step forward from Lucas Duda might not be accurate, and that’s disappointing. His decision making in the field could improve, and he needs to take the easy play sometimes, rather than forcing himself into an error. I think some of his issues are tied into his weight, so losing 15 pounds this winter might not be a bad idea for young Dominic. As for the plate, time will tell, but I can see why they’re excited. Smith, unlike Rosario, has an excellent eye at the plate, but he was swinging at some bad balls early after his promotion. Down the stretch, though, he improved, and showed that he can handle major league pitching. I see him being a guy you can count on for .280, 20 homers and 80 RBI. That’s just fine if he provides a good on-base percentage and solid defense, but then you’ll need to get the home runs elsewhere. As far as whether or not I think he’s ready to be an every-day factor, I’d say yes, but I want to see steps forward next spring. A right-handed compliment, whether it’s Wilmer Flores or someone else, wouldn’t be a bad idea. Competition usually brings out the best in people. Do you think Dominic Smith has done enough to earn the everyday job at first base? Tell us in the comments section below. 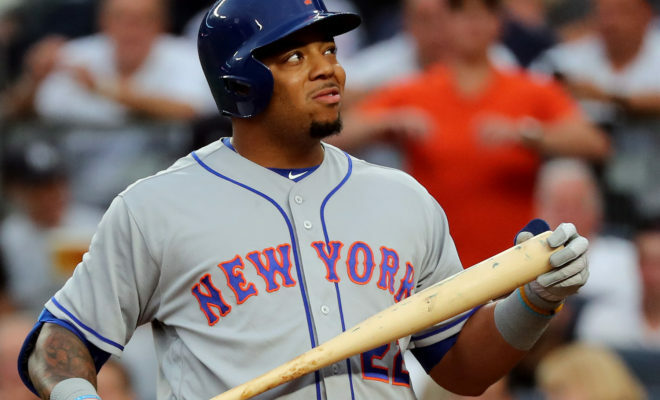 Are you satisfied with Dominic Smith as the Mets first baseman to start 2018?